Carrot and Beans thoran is a tasty well known thorn. The carrots and beans always compliment each other taste wise and also colour wise. Healthy colourful thoran almost liked by all people. 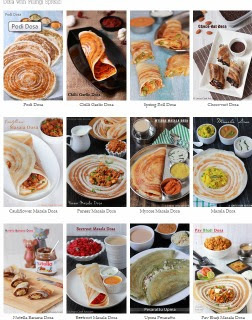 It is so versatile and perfectly suits for almost all thalis. 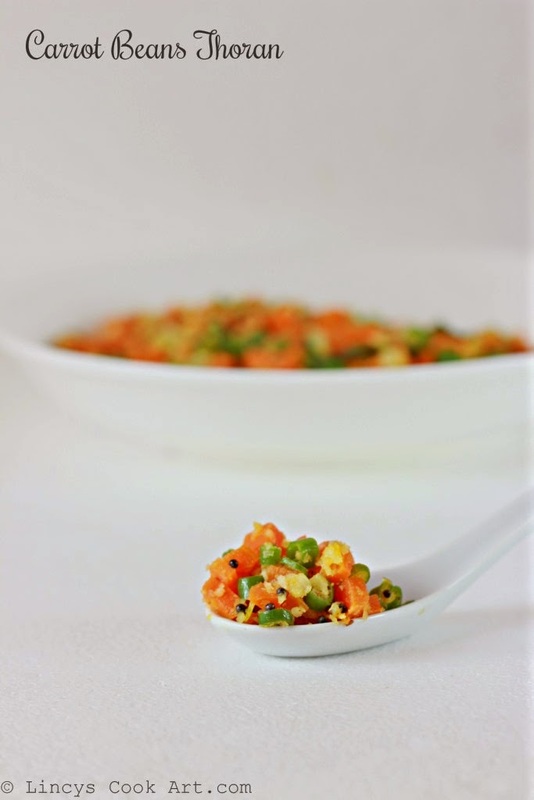 Easy to make healthy dish in a jiffy without much effort. Every home we will be having carrots and beans as a basic veggie in refrigerator. So we can make use of these veggie combo and prepare this thoran. If you are health conscious you can skip the tempering part and some curry leaves with coconut paste and cook and serve. Heat oil in a pan and add the onion and green chillies saute for fifteen seconds. Then add the carrots and beans and saute in that oil for thirty seconds. Add salt and sprinkle little water and cover with a lid and cook for two minutes. The colour of the beans should not turn very dull and the carrots should not turn yellow. Grind the coconut, jeera and garlic together as a coarse paste by pulsing two to three times in a blender without adding any water. Add the ground paste in to the cooked carrots and beans and mix well. Cook till the raw smell of garlic leaves for about a minute and switch off the gas. Check for salt and add if needed. In a separate pan pour oil and splutter the mustard seeds and add the curry leaves. Transfer the tempering over the carrot and beans thoran and mix well. You could add urad dhal and channa dhal at the time of tempering to enhance the taste little bit more. People like the crunchy bites in between can add dhal while tempering. If you are health conscious you can skip the tempering part and some curry leaves with coconut paste and cook and serve. Simple yet delicious.. Looks so colorful.. Yumm..